This stunning handwoven Fern Bracelet features ivory freshwater pearls with diamanté scrolls with a lobster clasp. 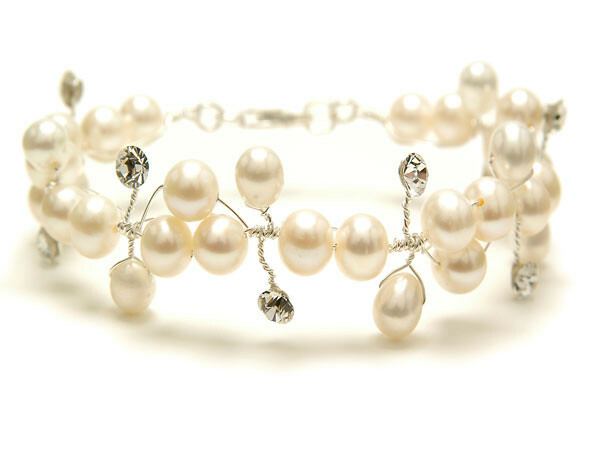 This delicate bracelet is perfect for classic, vintage weddings. Style with other accessories from the Fern collection.